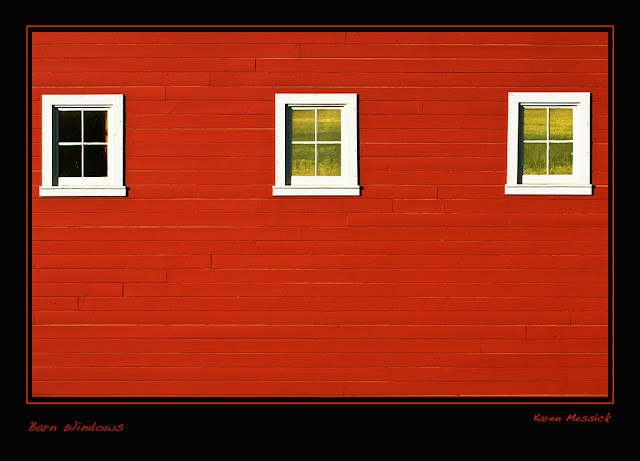 The top photo, with the three windows, is a particularly beautiful image, Karen. I wonder that your view is on the balance between seeing and technique, in making a successful image like this. It strikes me that this may have been a fairly straightforward image to make, in that you were facing the barn head-on and, of course, there are the basics of composition, focusing and exposure to get right, as well as being there at the right time, when the light was kind and sufficiently directional to separate the wooden planks one from the other. But it seems to me that what sets the photo apart was the simple fact that you saw it. A number of people have commented, on your blog, that you have a good "eye". I wonder if you think that having a good eye is more important than having good technique in creating an image like this. Shaun you pose a very interesting question..My thoughts...one can make a technically correct image and process an image well, but the actual image may fall flat because the ingredients for an interesting image was not a part of the composition. 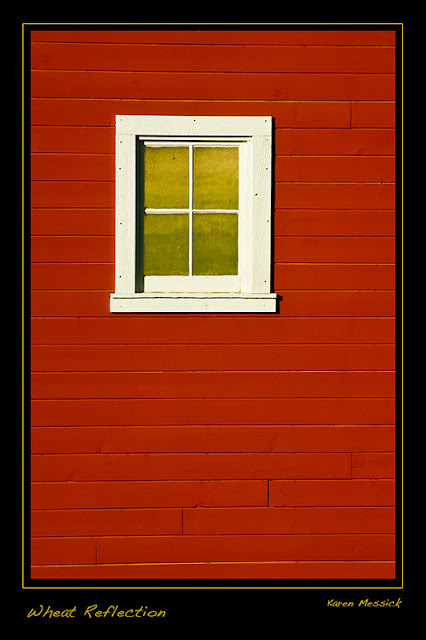 I believe "seeing" an image possibility is the beginning of crafting an interesting image....then the technical aspects of shooting the image and finally processing the image. Seeing an image possibility is the essence of photography and requires being an observer of all that surrounds one. 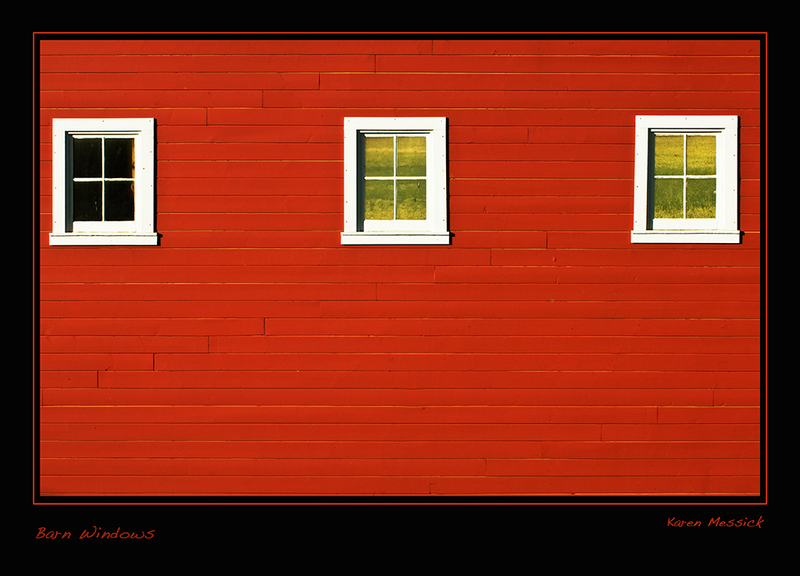 Just my thoughts..
Karen, you really nailed it with the red barn pics, especially the one with the sloping roof line. 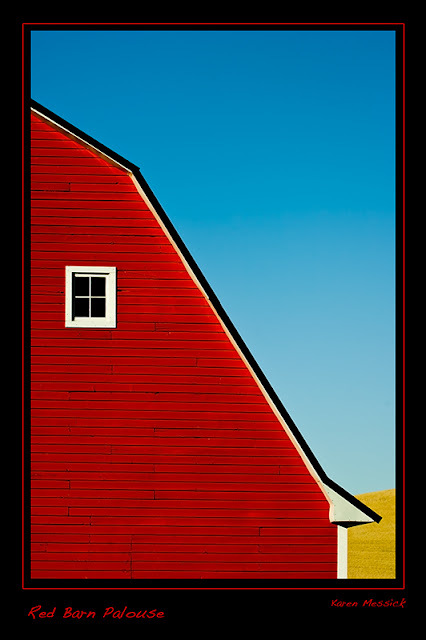 One of my favorite Palouse images ever. Wish I had seen this barn! Thanks Bob for dropping by! I appreciate your comments! That gives me food for thought, Karen. Thank you. People tell me I'm good at the seeing part. I repeatedly hear that I have a "good eye". 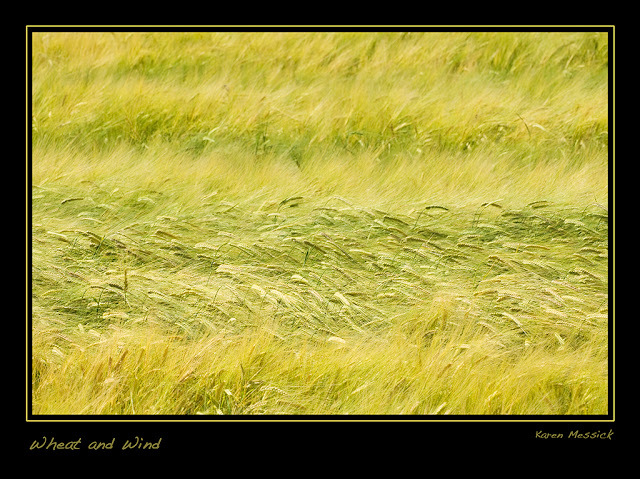 Someone wrote that even today on one of my Lonaconing images on flickr. I feel I'm half-baked at the technical aspects of making an image and near-raw at the digital processing part. Still, one can work on the technical and processing parts but, if you don't have the gift of seeing an image, all the technical prowess in the world won't help. Many thanks for sharing your thoughts with me.